5 Easy Tips To Stretch Your Tight Fit Shoes At Home!! It is heart breaking when you wear your new pair of footwear for the first time only to realize how uncomfortably tight they are! The new pair of shoe that fit like a glove while you were trying them and bought them at high price. Once you wear those shoes you cannot return and neither you can keep them in the farthest corner of your wardrobe and try to forget abut it. But you don't have worry at all. There are few ways through which you can salvage your footwear and avoid getting awful and painful blisters on your feet. Few easy ways and you can wear your new footwear and flaunt them to all your friends. 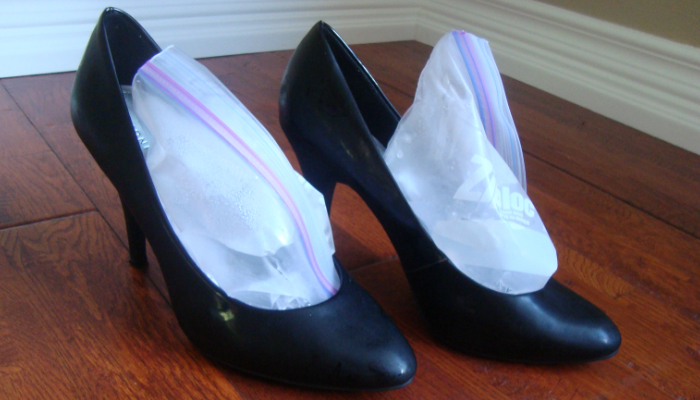 The best way to stretch your new shoes is by putting a water bag inside them and freezing them. It is basic science that water expands while it freezes and when it will expand the shoes will also expand. Heat will help. Wear a pair of socks or two and wear shoes then blow dry them all over. While heating them make sure to flex your feet within the footwear. While this method may not be comfortable, it definitely helps in stretching the footwear. Alcohol is the solution to every problem. Hahaha! Nope, just kidding. But it is true that rubbing alcohol can help in stretching the shoes. Spray rubbing alcohol all over your shoes and wear them and walk until the alcohol dries up. Rubbing alcohol helps in loosening the footwear. You can try to stretch your shoes using few paper balls. 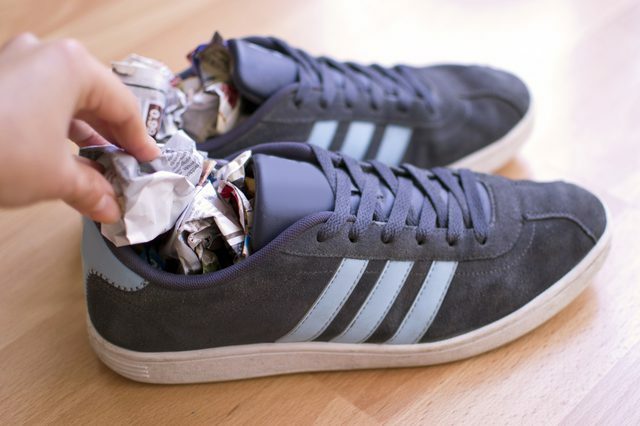 Just over stuff your shoes with crumpled paper balls or socks and leave them for sometime. sometimes all you need to do is to break in your shoes by wearing them for sometime and in doing so they loosen up. 10 Popular Television Celebrities Who Also Own A Side Business For Earning Extra Bucks!! 3 Easy Ways To Get Stylish Crimped Waves At Home!